The quality of the food here is quite good, and the service is OK. Popular so waiting times can be up to two hours on weekends. I believe that this is one of the best sushi places in Oslo - however, only take away. The secret is fresh deliveries of fish and cleanliness. 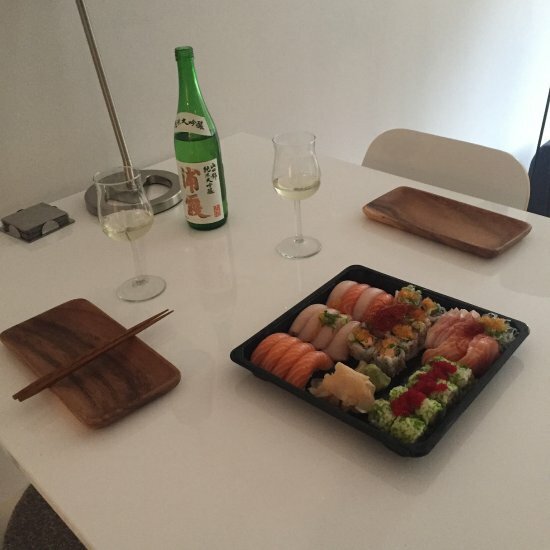 Possible favourite takeaway-sushi in Oslo! I enjoyed very tasty and fresh take-away sushi and tempura makis from Japoniis. I didn´t have to pay extra for a good portion of ginger. The restaurant seemed atmospheric and a fine place to dine as well. Highly recommended. Small place that primarily serves the take away market in the neighbourhood. We have our sushi from Japponis regularly and the fish is always fresh and tasty. Highly recommended! Sometimes the waiting list is long so I recommend calling I the order early. Get quick answers from Japoniis staff and past visitors.